In the wake of controversy surrounding this year’s Oscar nominations, the LA Film Festival is embracing diversity, announcing that Ricardo de Montreuil’s “Lowriders” will open this year’s festival, which will also honor filmmakers Ryan Coogler (“Creed”) and Ava DuVernay (“Selma”). 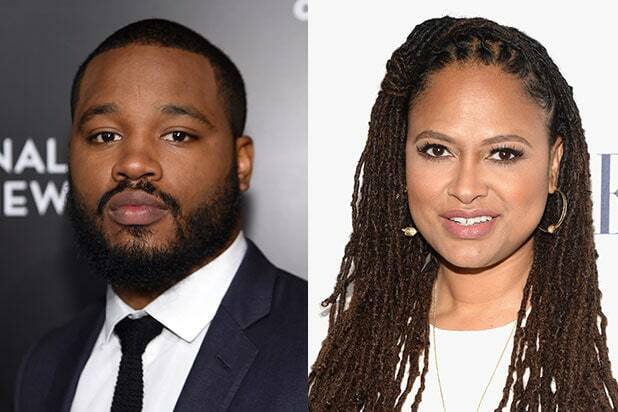 Coogler will serve as LAFF’s 2016 Guest Director, while DuVernay and Array Releasing will receive the festival’s annual Spirit of Independence Award, which honors those who advance the cause of independent film and champion creative freedom. The Spirit of Independence Award has previously been given to Don Cheadle, George Clooney, David O. Russell, Tom Bernard and Michael Barker, and Charlize Theron, among others. The LA Film Festival is produced by non-profit arts organization Film Independent. Carolyn Castaño handled the artwork for this year’s festival poster. The 22nd edition of the LA Film Festival will take place June 1-9 at ArcLight Cinemas. The LA Film Festival’s mission is to showcase diversity, innovation and uniqueness of vision in independent American and international cinema. “Lowriders” was produced by Oscar winner Brian Grazer (“A Beautiful Mind”) and Oscar nominee Jason Blum (“Whiplash”). The film stars Eva Longoria, Demián Bichir, Melissa Benoist, Theo Rossi, Tony Revolori and Gabriel Chavarria. Set against the vibrant backdrop of East LA’s near-spiritual car culture, ‘Lowriders’ follows the story of Danny, a talented young street artist caught between the lowrider world inhabited by his old-school father and ex-con brother, and the adrenaline-fueled outlet that defines his self-expression. Guest Director Ryan Coogler (‘Fruitvale Station,’ ‘Creed’) will attend the 15th annual Filmmaker Retreat. A signature program of the Festival, the Filmmaker Retreat brings together all the feature directors in this year’s Festival along with seasoned filmmakers and Film Independent Board Members who attend as honored artists. The Filmmaker Retreat is an opportunity to build community among the Festival’s filmmakers before the Festival kicks off on June 1. Past Guest Directors of the Festival include Rodrigo García, Lisa Cholodenko, David O. Russell, Mira Nair, Kathryn Bigelow, George Lucas, William Friedkin, Sydney Pollack, Guillermo Del Toro and Alfonso Cuarón. Festival passes are on sale to Film Independent Members starting Tuesday, April 5. Passes go on sale to the general public on Tuesday, April 12. The full line-up will be announced on Tuesday, April 26. Individual tickets go on sale to Mmmbers on Tuesday, May 5 and to the general public on Tuesday, May 10. Visit lafilmfestival.com for more information.